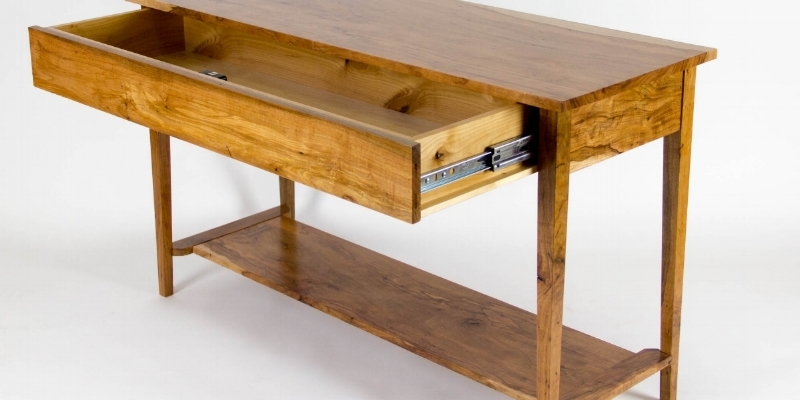 QLine Design custom handcrafted furniture is as unique as you. 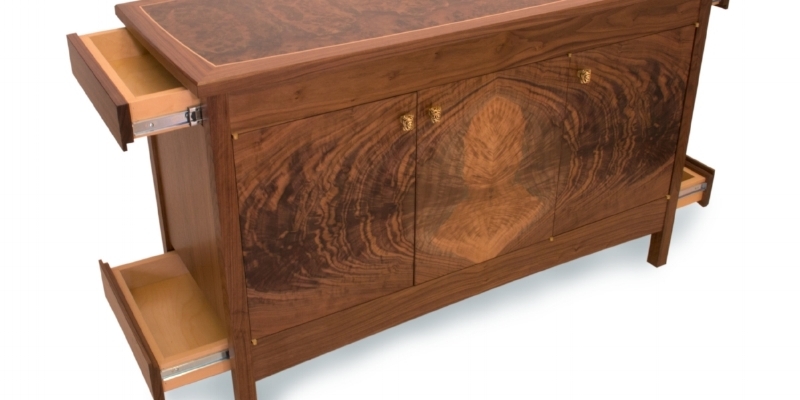 Customize a design that will fit your home perfectly, and hide your valuables in plain sight - all in an heirloom quality, beautiful piece of handcrafted furniture. What will you hide in plain sight? 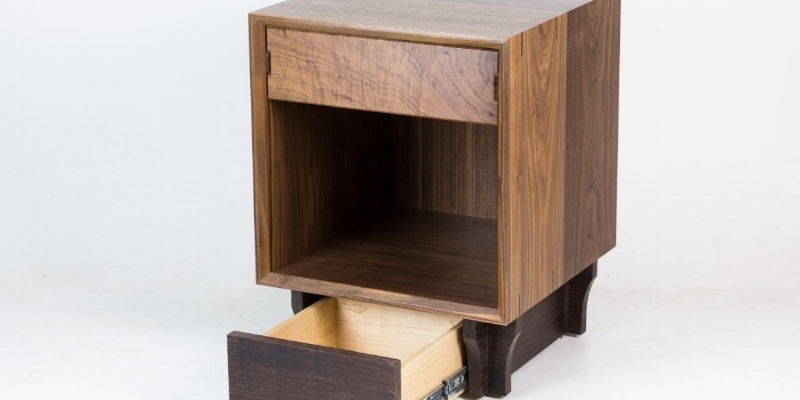 What you store in your QLine SafeGuard furniture is up to you—only you will know the secret. Valuables such as guns or jewelry will be hidden in plain sight. In the 18th century, high end furniture often contained secret compartments with the concept of: if they can’t find it, they can’t steal it. 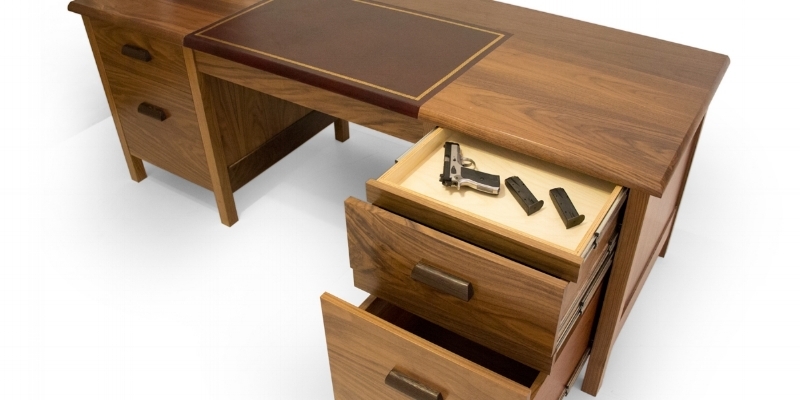 Our innovative designs contain ample hidden storage for documents, firearms, jewelry, or other valuables. Because each piece is custom made, they are available in your choice of wood or custom colors. Dimensions can be altered to suit your design and security needs. Shelving and secret hidden compartments are customizable for your application. 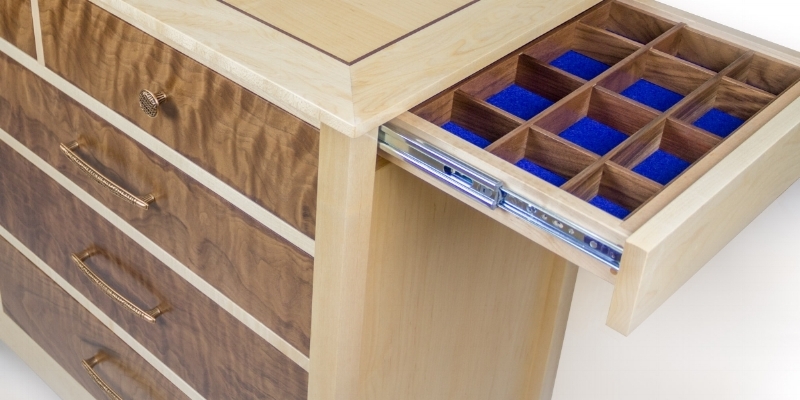 Don’t be fooled by cheap imitations— QLine is the original and very best when it comes to custom hidden compartment furniture. 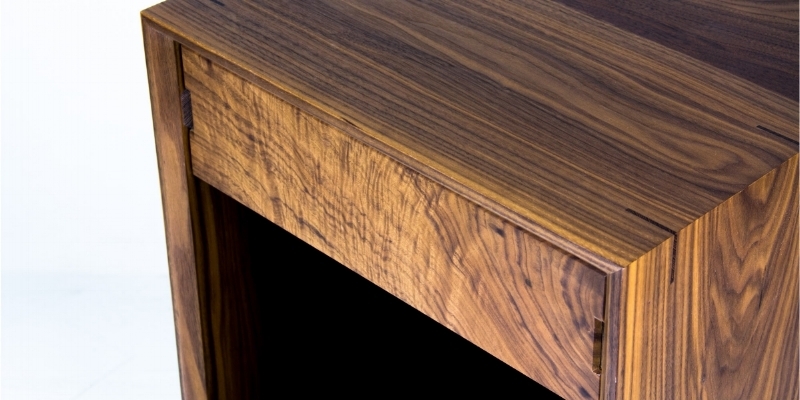 At QLine design, each piece of furniture is designed to last a lifetime. 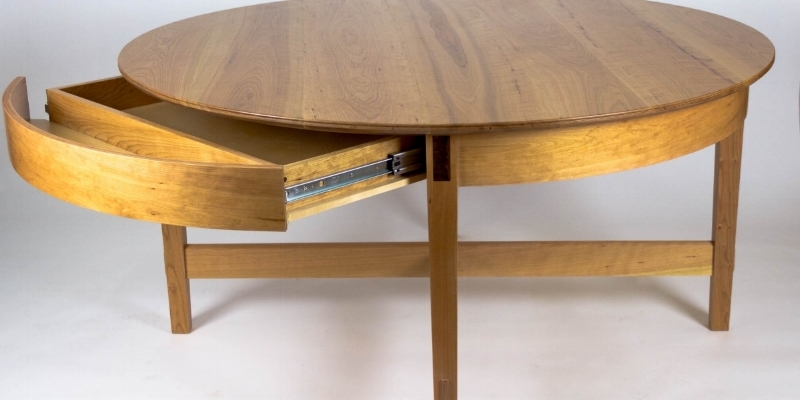 We are about design and form as much as we are about fit and function. 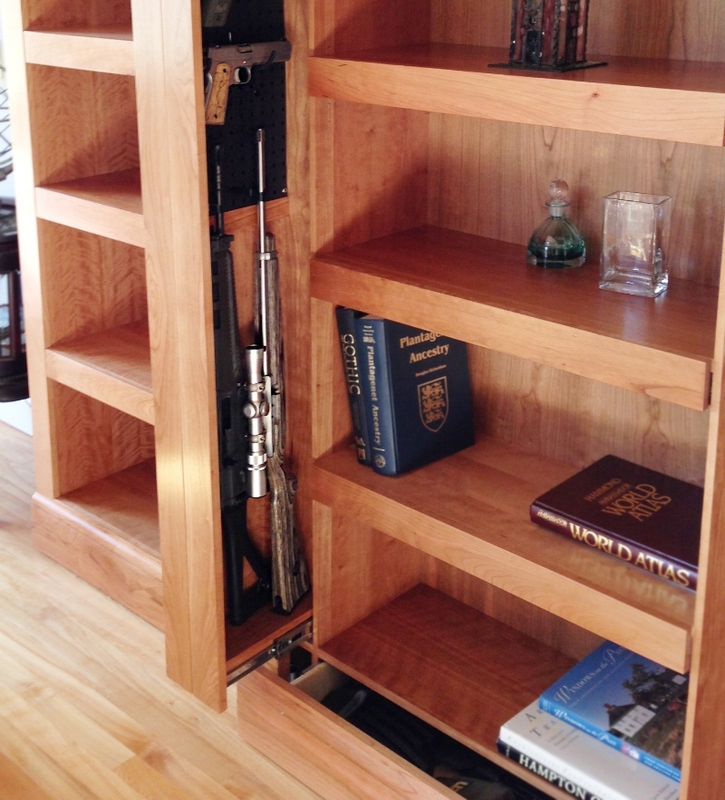 QLine Design builds heirloom quality, customizable concealment furniture & shelving systems that can secure jewelry, firearms & other valuables in plain sight! Browse our current inventory today.